This time of year many of you are looking for and setting up a Christmas tree. First the choice of a “real’ tree vs a plastic tree. Either one will be a beautiful addition and it’s a personal choice. It is important, when making a decision, to take into consideration that ‘fake’ trees are pretty much maintenance free vs the watering etc.. a real tree requires . Buying a ‘real’ tree also comes with options. You can opt to buy at one of the Christmas Tree pop up businesses which you will start to see right after Thanksgiving. Families can turn this into a yearly outing! Going to a Christmas Tree farm to pick out your tree is always a fun family experience or tradition. In addition to the above options there is one that many people do not know about – a ‘living’ tree. What is the difference between ‘living’ and ‘real’? A real tree is cut off above the roots whereas a Living tree has the root ball intact. This tree can then be planted in your yard. How do I go about choosing a living tree? First of all, remember that a living tree should not be in a home more than 10 days whereas a ‘real’ tree can be in a home much longer. A living tree will weigh much more than a ‘real’ tree due to the roots. You must be diligent about watering; trees not watered correctly will die and can’t be replanted. We advise you to pick out the space you will be planting it. Be aware that these trees grow very tall and wide so a location away from a house /overhead wires. The most important consideration is the type of tree that will grow best in your area. The soil and climate play a huge part in a successful replanting. Clemson University has compiled a list of which tree works best in different areas of South Carolina. 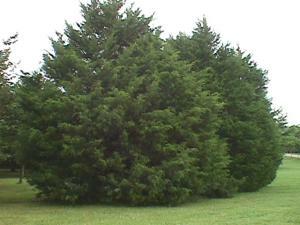 They note that the Southern Red Cedar is excellent for the coastal regions. Utilizing the living tree option gives you the opportunity of having your memories of Christmas past to enjoy for years to come. Looking to get some pricing for your next outdoor landscaping project? Are your weeds taller than your neighbor's dog? Receive specials and promotions to your inbox. Beach Landscaping is a full service Myrtle Beach landscaping company with both commercial and residential clients. 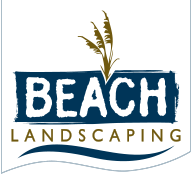 From lawn care and maintenance to landscape design, Beach Landscaping can service any outdoor yard or building. Voted several times as Best of the Beach by the Sun News in Myrtle Beach, Beach Landscaping has won many awards. We also handle weed and insect control.